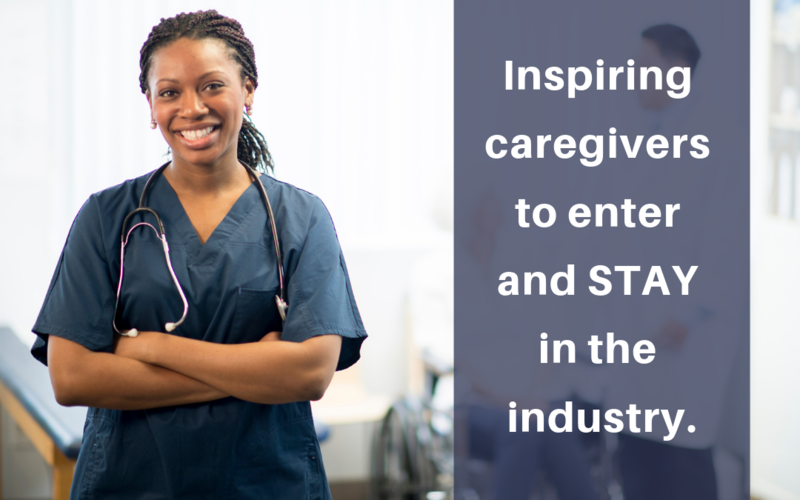 agencies state that the caregiver shortage is THE top threat to their business’ success. as number two and three threats to their ongoing success. entering and STAYING in the caregiver role. The experts tell us the problem is caused by low pay (and no benefits), lack of opportunities for advancement, and unpredictable hours from week to week. Yes, those are all valid reasons why your caregivers quit. But the truth is that there is not a singular reason the industry is suffering. Instead, it’s a group of circumstances surrounding the caregiver’s role that makes entering and staying in the industry so difficult. The fact remains, being a direct care provider is intensely difficult work! It’s back-breaking, heart-breaking, and spirit-breaking work for which you receive little pay, little recognition, and little appreciation. Is it really a surprise that there is a shortage of people who want to work under these conditions? Starting with your initial advertisement to recruit caregivers, set clear expectations about the job and duties. Be forthcoming about the pay and benefits you offer. Avoid phrases such as “top pay in the industry” or “regular, consistent hours” unless you are sure you can deliver on those promises. Otherwise, caregivers end up feeling duped into a “bait and switch” situation. Most senior care agencies who hire direct care workers need people—and they need them NOW. That leads to hiring anyone (or everyone) who shows an interest and can make it to the interview. But not everyone is cut out for this work. Hiring the wrong people over and over just leads to a revolving door of new hires who come on board, try it out–and then quit! It let’s potential candidates know exactly what they’re getting into. It allows you to assess how applicants may deal with common challenges associated with being a caregiver. While training requirements vary by state, in many cases, caregivers can jump into their role with little or no training. As a result, they’re not prepared to care for real people with real needs, and can quickly feel overwhelmed. And it should come as no surprise that overwhelmed caregivers are much more likely to quit. Caregivers want to feel confident and secure in their jobs. And they want to work toward meeting their personal and professional goals. By investing in training, you not only build skills—you build confidence. Subscribing to a quality training program leads to higher employee confidence, lower turnover, and increased retention. any agency train, engage, and retain caregivers. quote and/or e-learning demo based on your exact needs.